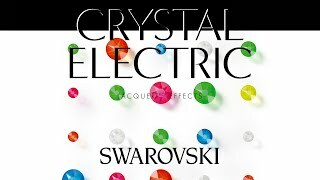 Swarovski Electric Jet - Experience a New Brilliance! The new Jet has arrived. An exclusive, special production by Swarovski for Rhinestone Guy. Electric Jet... Black rhinestones at a new level of sparkle! See The Difference. Swarovski Crystal Electric Lacquer Pro East to West, neon lights bright many cities nights… It’s electric. Now you can amp up your performance with high voltage Swarovski Crystal Electric lacquer pro stones. Switch on the neon lights for high energy and extreme brilliance under the spotlights.